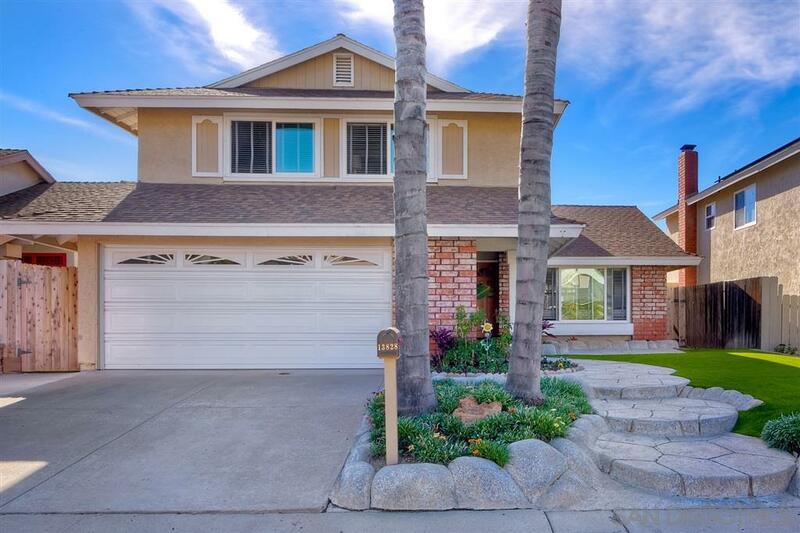 Come enjoy this beautiful four bedroom cul-de-sac home with a pool. This home has been freshly painted inside. Nice sized bedrooms are all upstairs. Master bathroom has been completely remodeled w/beautiful Carrera marble countertops and lovely shower enclosure. Kitchen has upgraded cabinets, SS appliances and solid granite countertops. Outside you'll find a large pool and a great entertaining patio area. Easy maintenance landscaping, solar electric and solar pool heat. Poway schools w/o Mello Roos!, Solar electric is a Power Purchase Agreement ("PPA"), attached hereto. It can be purchased outright after 3 more years of the 20 year term. It basically has the owner buying electricity from the company instead of SDG&E for a reduced amount ($0.16 kWh). Repairs to the system are included for the term of the agreement. This PPA must be assumed by the buyer. Courtesy of Suder Realty Inc.